I had some Baby Aloo remaining in my Tray, which happens to be there after i made my Baby Aloo Biriyani. 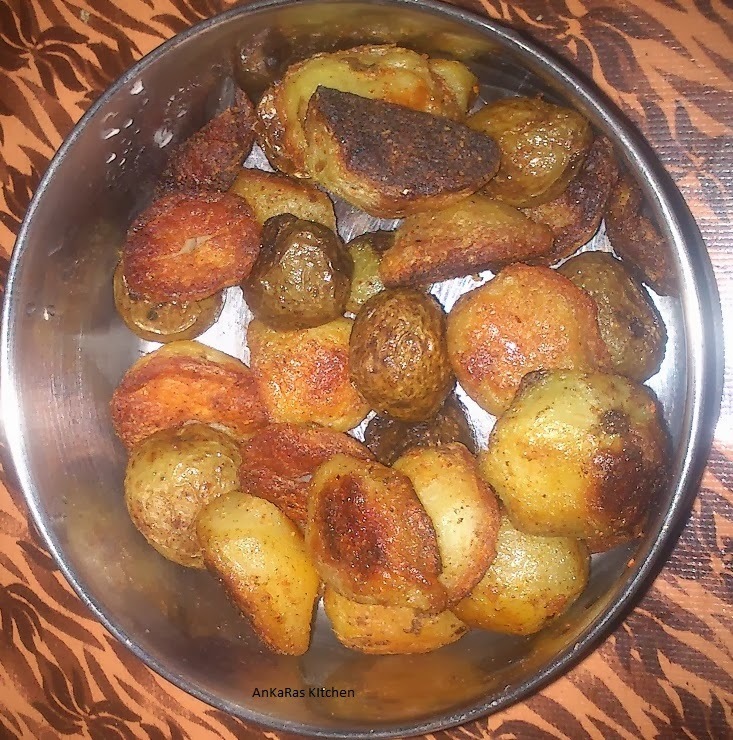 So i decided to make Baby Aloo Toast as a side dish for Biriyani. Boil the Potatoes in Water until they are 3/4th cooked. Show the boiled potatoes in Running Tap Water, so that they do not turn Mushy. Take a wide Mouthed Vessel. Add the Turmeric Powder, Chilly Powder, and Oil. Mix them well. If needed 1 Tbsp of water can be added. Throw in the boiled potatoes to it. Give it a nice Turn, so that the masala fits well into the Potatoes. Leave it aisde like that for 1/2 to 1 Hour. Take a Kadai and pour 2 Tbsp of Oil. Throw in the Marinated Potatoes. Keep the stove in Low flame and switch off the stove, when the potatoes turn deep brown in color.